We have killed all the Gods except for Aphrodite. Aphrodite is the goddess of True Love. True Love is the altar before most of us still worship. Our new sacred credo is “I love you.” Our true sacred credo is usually revealed when the stakes are the highest—at our moment of death. When planes hit the World Trade Center and people had a few seconds to live, they called home and recited the credo, I love you. And yet somehow our spiritual world of practice has become separated from our world of love. Our enlightenment studies seem to often point us beyond personal love, which is viewed as the realm of attachment and separate self. 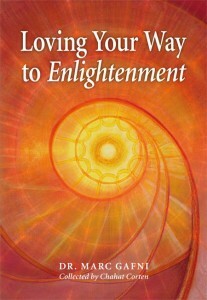 It is for that reason that we want to invite you to a new spiritual path: The path of Loving Your Way to Enlightenment. One of the great paths to “loving your way to enlightenment” is no less than falling in love. 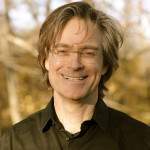 To love your way to enlightenment is not only more courageous, but as the Zen master Ikkyu wrote, it is also more effective just “sterile sitting meditation.” To love your way to enlightenment is to allow yourself to fall fully in love and use your relationship as a crucible for spiritual development. To love your way to enlightenment is to not to bypass your wounds in spacious meditation but to enter your hurts and transform them into healing, health and heroism. All our wounds happen in relationship and so they’re best healed in relationship. 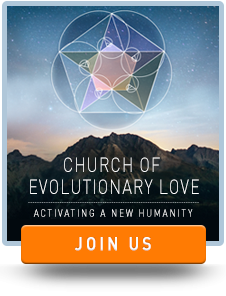 Falling in love—with your True Love—is the most profound & rigorous transformational workshop going on the planet. It’s the one place you get reflected back in all your glory and all your darkness. Your lover is the shiniest mirror and your most profound teacher. The best sacred shortcut to enlightenment is falling in love, because it forces you to wake up and take responsibility for all the ways you aren’t present to what’s so. Suffering after all is being in an argument with reality. Infinity—as inspiring as it can be—is also terrifying. The vast unknown is hard to wrap your head around, it cannot be controlled or managed… the only true response is awakened surrender. All of our fears, neuroses and shadow issues come up in True Love relationships. No matter how much transformational work you’ve done, True Love is where the deepest darkest stuff comes out. Couples in True Love fight the big fights. It is part of the courting dance. It is often called the ‘power struggle.’ No relationship worth its salt avoids this inevitable initiation and testing ground. True Love conflict can either be alchemized into intimacy or it alienates you from your partner. What allows conflict to move fluidly into resolution is each partner’s willingness to look inside, facing everything and avoiding nothing. Each partner must ask for how & where they participated in the disconnect, the misunderstanding, the heartbreak—which lies at the root of all arguments. This is the stage many couples do not survive. When the agonizing reflections of our defended self are forced into our attention, everything in us wants to run. The reason it’s important to distinguish True Love from ordinary love, is because it is the only force strong enough to keep you in the game. It is True Love that calls you to do the work, roll up your sleeves for whatever it takes to transcend your crazies and find your way back to your lover’s heart. True Love provides the necessary gymnasium or dojo for your emotional training & actualization. Until you’ve surrendered fully to your relationship (no quitting, no exits, no threats of leaving; you’re in for life) you cannot get the evolutionary benefits of deep personal & spiritual transformation. But here is the secret. Our love lists are too short. True Love shows up not only in romantic relationship. True Love can also show up in relation to close friends, brothers and sisters, parents, our life partners of varying kinds. We have exiled falling in love to the romantic. But this is the subject for another column. A quick and dirty test to distinguish True Love: If you’re wondering whether or not you’re in love…then you’re not. It’s unmistakable when it happens, there’s no confusion; you just know. And once you find it you’ll do whatever it takes to make it work. In particular, you have to be willing to die for it. Yes… die. When you fall in love, your “contracted coiled separate self” dies into an “US” and that alone can be terrifying. Ironically however, once you dive off the cliff, you’re soon handed back a stronger, more profound sense of self than you could ever have created on your own. We use the word US in two ways. US is you and me together who form the miracle of We. But we are also using US as an acronym for Unique Self. In True Love relationship you do not disappear but rather appear as the most epic version of your Unique Self. Love is not merely an emotion. Love is a perception that births an emotion. Love is a perception of the infinite specialness and radiance that lives in the face of the other. Love is God meeting God. When we fall in love with another person two beloveds appear in full radiance. We don’t only fall in love with the other person. We also fall in love with ourselves. We fall in love with how we’re seen by them & who we get to be in their presence. 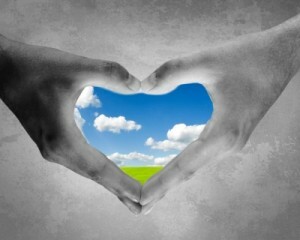 We fall in love with a possibility, the possibility that inspires us the most. And inspiration is what pulls us in to our highest selves. When you think about it for a moment falling in love and spiritual development really start to sound very similar, don’t they? Many of the ancient religions & wisdom traditions share one thing in common, they encourage us to be more loving, aware, awake and present. The first core practice is to realize that you are part of something bigger than yourself. You come from an eternal oneness. This is often called your True Self. In the evolution of this tradition we teach that You are not only a True Self but a “Unique Self” that lives beyond space, time & matter. And that “Unique Self”, happening once-and-for-all-and-never-again is divine; it’s one of the many faces of god. That of course is precisely the identity that shows up as you when you fall in love. A second core practice is what we like to call “Nowing:” participating in the now—as it stretches endlessly out from this moment across space-time. Of course that is also the practice of falling in love. When you are in love—just being present with your partner is the greatest bliss and delight. 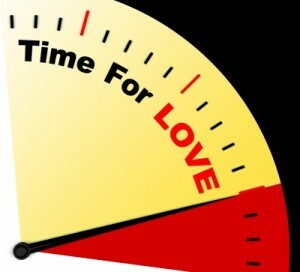 To practice falling in love over time is no less than simply bringing more of your consciousness into the now. You step into the fullness of presence with your romantic partner. The only place an “US” can live is in the now. When we are caught up in our neuroses, defensive patterns or disconnected form our own emotions, some of our consciousness has left the room. We have left the now. “Nowing” may be the most powerful spiritual practice there is. Nowing in the context of True Love calls up all our obsolete strategies born from historical wounds, but it also forces us into the now. For that is the place from which we can see our patterns and observe how they keep us out of relationship & separate from our partner. When you’re in your blind spot issues—you’ve left your lover. They’re alone & afraid and they need you to wake up and come back—here, now… where True Love lives. True Love offers a way out of the insidious obsession with our alienated and wounded separate self. Loving your way to enlightenment is a powerful crucible for self-realization & growth. Your lover is your ultimate guru and their stand for your greatest self is your access to a whole new kind of enlightenment. One where you get to be the God you are, while your lover does the same. 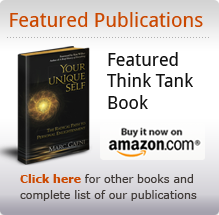 This article is part of the book Loving Your Way to Enlightenment (Chahat Corten) which organizes Marc Gafni’s World Spirituality teachings on love as both the path and goal of spirituality.